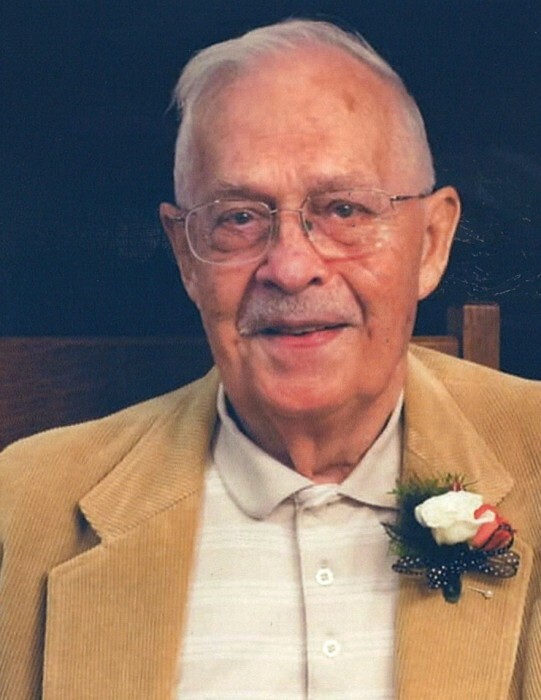 Gene F. Yoder (84) went home to his Lord February 13, 2019. Gene was born May 17, 1934 to Glenn and Elizabeth (Bauer) Yoder in Wellman, Iowa. Gene graduated in 1952 from Washington Community High School and attended University of Iowa, before enlisting in the Army. After serving two years in occupied Germany, he returned, transferring to Western State College in Gunnison, Colorado, graduating with a degree in physical science – geology, and a minor in psychology. Gene worked in the uranium industry in different states and with diverse responsibilities. Gene met his wife Marilyn (Scott) at University, and married in 1954 celebrating 64 years of marriage. They had four children: Christy Moore, Jene Yoder, Beth Gilleece, David Yoder, 10 grandkids and five great grandkids. Gene loved his Lord which he served through his church. He was fervent believer in the importance and value of Sunday school education in developing life long faith. His hobbies included woodworking, visiting the high mountains and spending abundant time with his family. Gene set high standard for his loved ones on how to live your faith daily. Genbe’s life was marked by his passions of faith, his love for his wife and family, and the beauty of Colorado. Memorial donations can be made to Messiah Lutheran Church. Service to be held at the Messiah Lutheran Church, 840 N. 11th Street, Grand Junction, CO, Saturday, February 16, 2019 at 1:00 p.m.